Latin America’s indigenous people face a range of challenges to their human rights. Since the days of colonisation, the indigenous peoples of the Americas have been discriminated against, criminalised, and even targeted in genocide. Today there are roughly 60 million indigenous Americans throughout Latin America, with notable populations in Mexico, Guatemala, Bolivia, Peru, and Ecuador. While the dynamics of the discrimination they face may have changed, the results are all too similar – many indigenous people find themselves locked out of education and employment opportunities, denied access to their native lands, and are compelled to abandon their culture and traditions. The hardships faced by indigenous peoples are diverse, but perhaps the most visible is the violation of their rights to their ancestral lands. Whether due to mining, industrial farming, or conflict, each year thousands of indigenous people are liable to be displaced from ancestral lands. 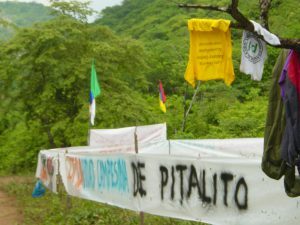 Some of LASC’s most notable solidarity campaigns revolved around the right to land, particularly in Pitalito, Colombia and Cajamarca, Peru. 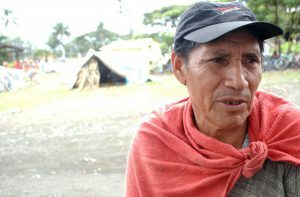 Due to Colombia’s lengthy “internal conflict”, the Pitalito community was forcibly displaced in 2010, spending three years living in very difficult conditions in the nearby town of Curumaní. Yet in spite of threats and the use of violence, members of the community took the very courageous step of initiating a return process to their lands. They asked for help from local, national, and international organisations, and LASC was more than happy to oblige. Run in cooperation with Equipo Juridico de los Pueblos (EJP), a legal organisation assisting displaced campesino communities, this campaign involved direct assistance by Irish volunteers in Pitalito, in addition to a mutual exchange of ideas facilitated by volunteers from both Ireland and Colombia. This coincided with a sustained lobbying campaign here in Ireland, condemning the use of violence against protestors and calling for full recognition of their land rights. While the campesinos of Pitalito were displaced due to conflict, in Cajamarca the culprit was international mining interests. Threatened with sustained repression from the state, which has so far resulted in five deaths and left dozens injured, the community continues to take its stand and assert their right to the land. Once again, LASC offered its full support, condemning the use of violence against the community, launching a letter-writing campaign, giving a platform to speakers to raise public awareness, and making a video message of solidarity with groups around the world that was projected in the plazas of Cajamarca, Celendín, and Hualgayoc-Bambamarca. 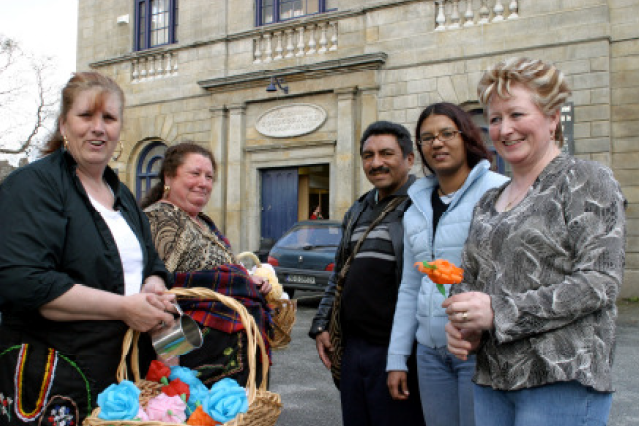 Representatives of the Kankuamo community meet with representatives from Irish Traveller organisation Pavee Point. Photo by David Speirs. At LASC we believe that indigenous traditions are an indelible part of Latin American culture, and deserve to be celebrated. For this reason, they have featured in many of our cultural events, particularly Latin America Week 2005 and 2014. Focussing on the Kankuamo people of Colombia, our 2005 celebrations were particularly eventful, with representatives from the community coming to Ireland. This experience of cultural exchange allowed the group to visit Pavee Point, a traveller organisation, and share perspectives relating to minority groups, cultural protection, and discrimination. They were also invited to speak to audiences throughout Ireland, to help educate others and raise awareness of their own situation. In 2014, our focus was on displacement, particularly in Colombia – a country with six million forcibly displaced people, the highest in the world. Our events included a photo exhibition on resistance in Pitalito and a number of talks given by Nelly Méndez, speaking out against displacement in her own department of Tolima, Colombia. LASC is proud to have shared its work with these noble groups and individuals, and to have supported their fight for indigenous rights. This is a spirit we have carried through in much of our work, celebrating the indigenous voice in countless education initiatives and talks.